Our goal is to provide you the service, entertainment, technology, and most importantly, controls to allow you to easily enjoy your living environment to the utmost. Lights, camera, action! 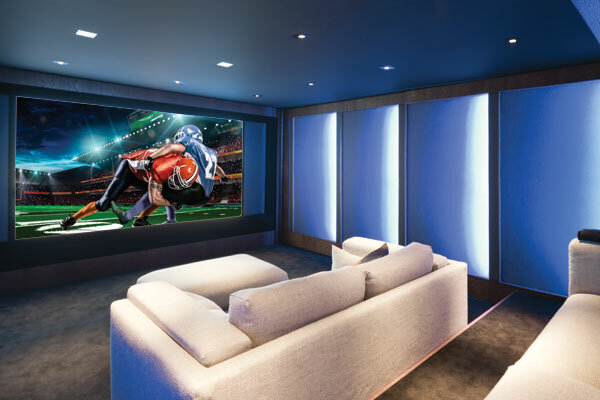 Movies, sports, and even video games are all brought to life with a custom home theater. At Premier Home Theater we design home theater experiences that will blow you away! With a large range of sound systems and high definition televisions on offer, we can build you the home theater that suits your budget and your needs. We have a team of experts which make our installations quick and seamless, meaning less hassle for you. All of our systems are controlled with a single touch of a button from a smartphone or tablet which means that you will never have to miss a moment of the action! Enjoy your entertainment the way it was intended to be: up close! Whether you're building a new home and can work with our team to design the ultimate theater from the ground up or you have an existing home and a room that you see has the potential to get the ultimate makeover into that one-of-a-kind home theater, our team is the premier choice to create the home theater of your dreams.